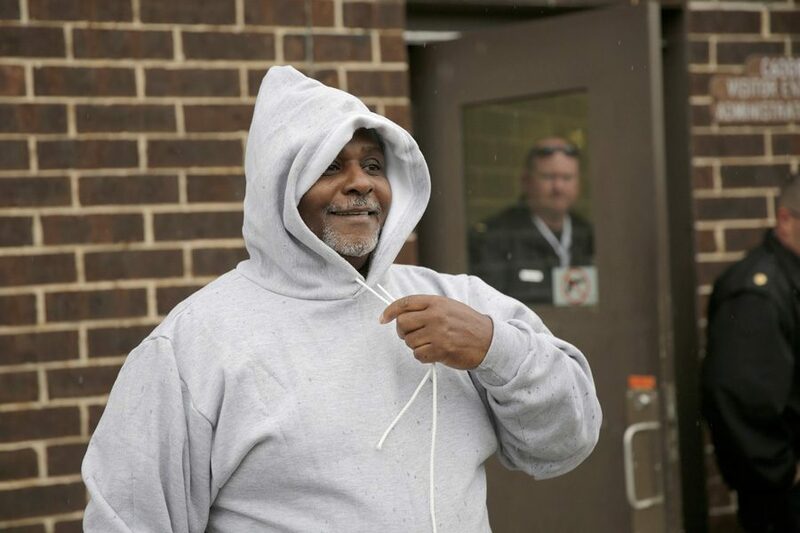 Alstory Simon talks to reporters as he is released from the Jacksonville Correctional Center in Jacksonville, Illinois in 2014. Paul Ciolino filed a lawsuit earlier this month alleging Simon engaged in a “conspiracy” to discredit his work and that of the Medill Innocence Project. A second lawsuit has been filed after investigations into a high-profile murder case led to two exonerations, the repeal of the death penalty in Illinois and the fall of one of Northwestern’s most distinguished professors. Paul Ciolino, a private investigator who obtained a video confession of Alstory Simon for a 1982 double homicide, is defending his reputation — and that of Northwestern and former Medill Prof. David Protess — in a defamation lawsuit filed earlier this month. The suit, filed in Cook County Circuit Court, alleges nine defendants engaged in a “conspiracy” to discredit the work of Ciolino, Protess and the then-Medill Innocence Project, since renamed the Medill Justice Project. The suit, filed Jan. 2, claims Simon’s lawyers and the two investigators they hired made false claims in an effort to defame and discredit Ciolino’s investigation, despite continued confessions of murder by their client. The suit also claims the defendants intentionally inflicted emotional distress, which led to Ciolino’s depression, anxiety and fear. Additionally, the suit claims the plot ruined his reputation and has made it difficult for him to find work as an investigator. Details of the alleged “swift-boat” plot to undermine the investigation include claims that Simon and witnesses were paid to recant their stories. The complaint also claims that Anita Alvarez, the prosecutor who freed Simon, resorted to “unethical, underhanded and downright sleazy methods to discredit” Protess and Northwestern. The complaint mirrors a countersuit in an ongoing lawsuit against Ciolino filed by Simon in 2015. The countersuit was dismissed for not having proper jurisdiction, but the federal judge for the case said it could be taken to a state court. Ciolino was working with Protess and the Medill Innocence Project in 1999 when he obtained Simon’s confession. The confession helped to convict Simon and exonerate Anthony Porter, who was just hours away from the death penalty after he was convicted for the 1982 deaths of Jerry Hillard and Marilyn Green. Though Simon pleaded guilty and continued to confess multiple times, as the suit points out, he later renounced the admission, alleging Ciolino threatened him at gunpoint, showed him a video of an actor falsely claiming he saw Simon commit the murders and said he could avoid the death penalty if he confessed. Though Ciolino disputes Simon’s claim that he conspired to wrongfully convict Simon, prosecutors released Simon in 2015 after they concluded the confession was coerced. Ciolino has admitted previously that he showed Simon the video with the actor. The decision by prosecutors brought into question not only Ciolino’s tactics, but also those of Protess and the then-Medill Innocence Project. Protess left the University in 2011 after allegations that he engaged in and encouraged his students to adopt unethical reporting tactics, prompting administrators to prohibit him from leading the organization he established. The innocence project has since been under new leadership with Medill Prof. Alec Klein as the director. After two men were exonerated for the same murders, the project and case gained widespread attention and scrutiny from across the nation. Porter’s exoneration is believed to have convinced then-Gov. George Ryan to halt executions, a step toward the repeal of the death penalty in 2011. Additionally, a 2015 documentary, “A Murder in the Park,” and a book titled, “Justice Perverted: How The Innocence Project at Northwestern University’s Medill School of Journalism Sent an Innocent Man to Prison,” criticized the case and the innocence movement for its tactics. Ciolino’s suit claims these projects also defamed him by including false statements. A case management hearing is scheduled for March.